There are many places in Japan to view Mount Fuji (富士山), one of which is Mount Tenjo above Kawaguchiko (河口湖), or Lake Kawaguchi, in the region known as Fuji Five Lakes. 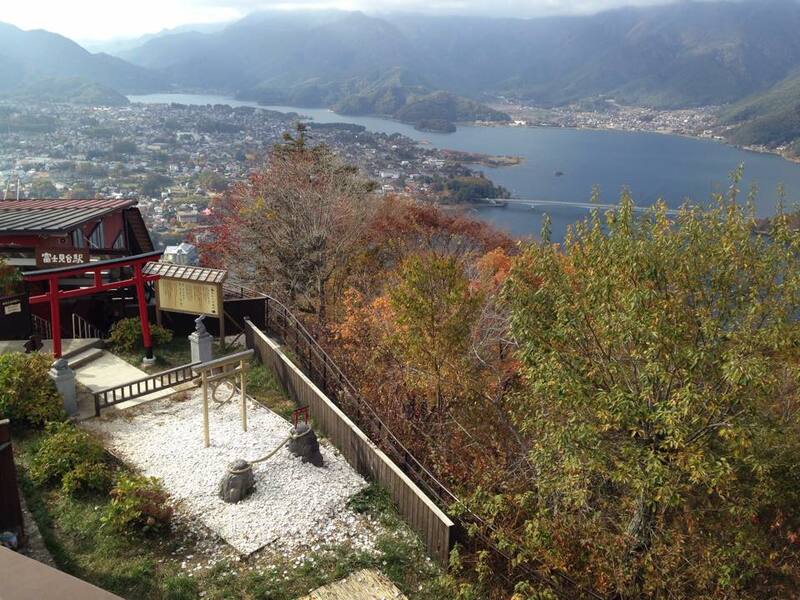 Mt Tenjo is accessible by cable car and offers spectacular views of Mt Fuji, as well as featuring several activities. It is also famous for being the site of the folk tale, Kachi Kachi Yama. 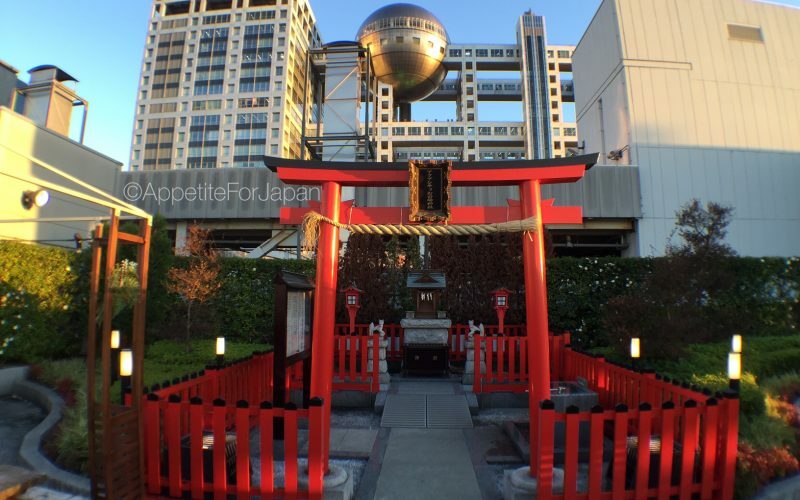 The Asahi Beer Hall, also known as the Superdry Hall, is famous for the huge golden ‘Asahi Flame’ (or Flamme d’Or) on top of the building. 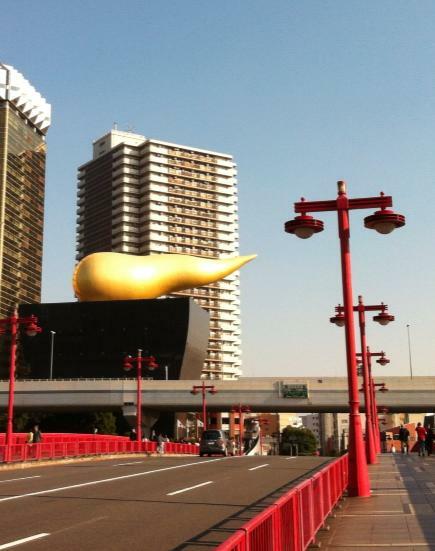 The Asahi Flame is affectionately referred to as 金のうんこ ‘kin no unko’ (the golden turd) and the building referred to as うんこビル ‘unku-biru’ (the poo building) by some locals.